Documentary which highlights cockney duo Chas & Dave's rich, unsung pedigree in the music world and a career spanning 50 years, almost the entire history of UK pop. They played with everyone from Jerry Lee Lewis to Gene Vincent, toured with The Beatles, opened for Led Zeppelin at Knebworth - and yet are known mainly just for their cheery singalongs and novelty records about snooker and Spurs. The film also looks at the pair's place among the great musical commentators on London life - and in particular the influence of music hall on their songs and lyrics. 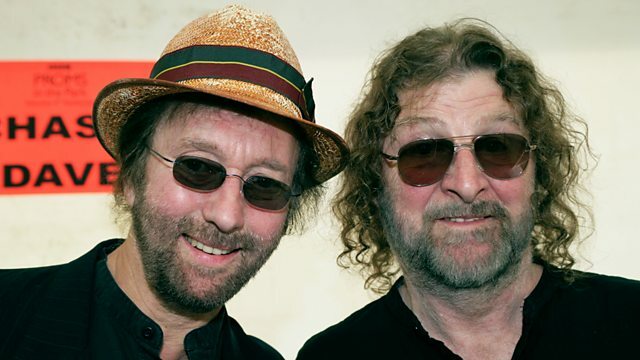 The film crew followed Chas & Dave on their final tour, having called it a day after the death of Dave's wife, and blends live concert footage with archive backstory, including some astonishing early performances and duets with the likes of Eric Clapton. Among the experts and zealous fans talking about their love of the duo are Pete Doherty, Jools Holland and Phill Jupitus. Narrated by Arthur Smith. Celebrating the best of British music. Clips, playlists, upcoming concerts and more.